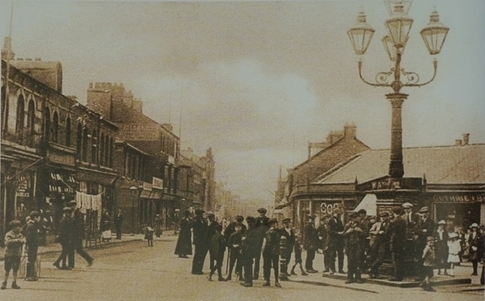 The original Five Lamps were gas lights built at the junction of George Street and Mandale Road in 1874, comissioned by local Justices of the Peace, Joseph Richardson, William Whitewell, Charles Arthur Head and William Anderson. A less than inspiring 1970’s electric version. It was renovated and moved to its current position in 2010. The origin of the five lamps is linked to the legend that Robert de Thormodbi (Thornaby) created a shrine to the Virgin Mary in St Peter’s Church lit by five lamps. This entry was posted in Thornaby by chris.twigg. Bookmark the permalink. The Stockton-on-Tees motto has no place on the five lamps of Thornaby-on-Tees, it just goes to show where Thornaby Town Councils loyalty’s lie. Even though Thornaby originally wasn’t part of Stockton , it now is – so i believe that Stockton’s coat of arms SHOULD be on this “monument”. 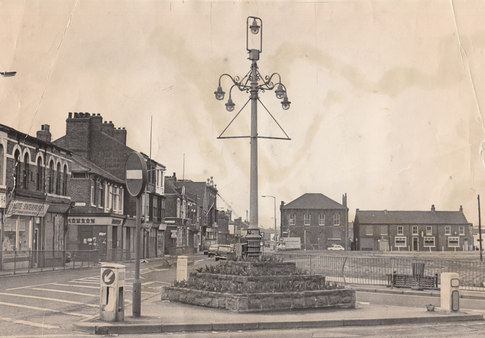 The five lamps of THORNABY have been a symbol of Thornaby-on-Tees since long before we were undemocratically forced into the Stockton Borough for Parliamentary purposes on April 1 1974.